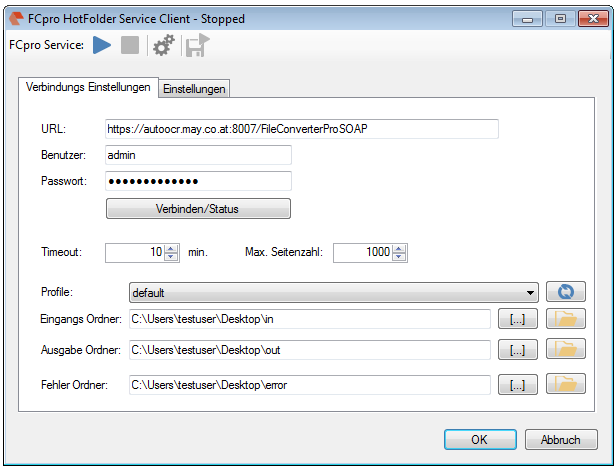 The freely available application FCpro HotFolder works together with the FileConverterPro Server and makes it possible to monitor yet one and soon also multiple input folders automatically. 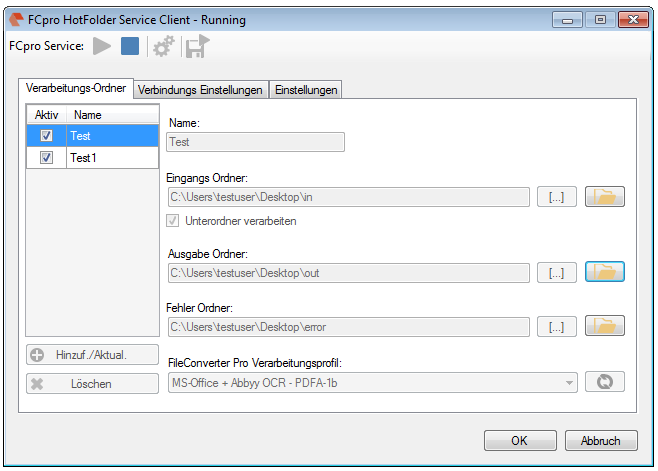 Existing or newly added documents of the monitored folder get recognized and via the FCpro server, with or without OCR, converted to a PDF, PDF/A-1b, PDF/A-3b or ZUGFeRD document. 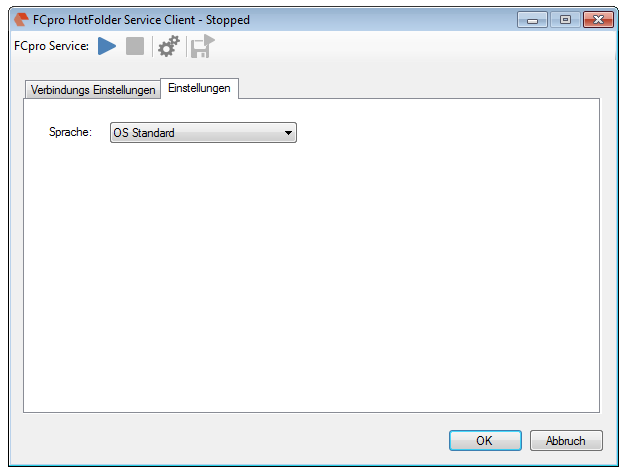 For the monitored folder a processing-profile from the FCpro server is chosen which controls the conversion. The documents stored in containers (ZIP, RAR, 7ZIP, MSG, EML) get converted one by one and merged to an overall-PDF. 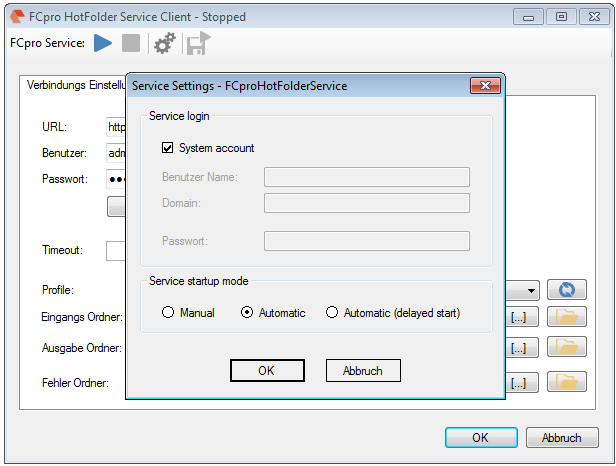 FCpro HotFolder is installed as Windows service and can also be installed on the same (localhost) or any remote computer. 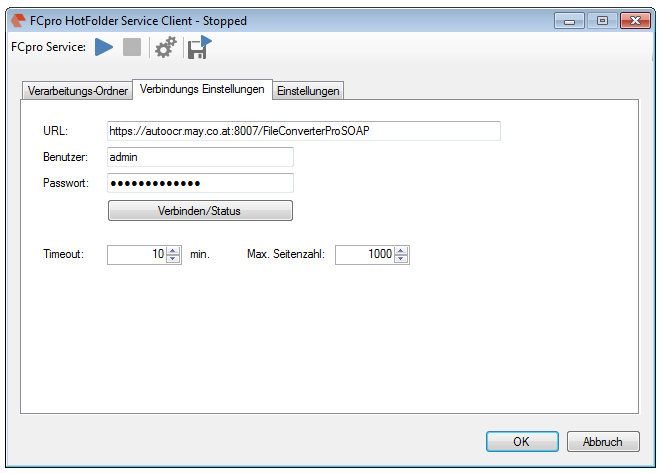 The communication with the FileConverterPro Server takes place via WebService through HTTP or encrypted through HTTPS. Please note that the Windows Service is installed with the local system account. This account has no rights to access network resources. To read or write files from/to a network-share, a user with the needed permissions has to be used.